Microsoft continues to strategically abandon its commitment to building the back-end to consumer-facing platforms like its Edge browser and Cortana assistant. Now it is ending support for Windows 10 Mobile OS. 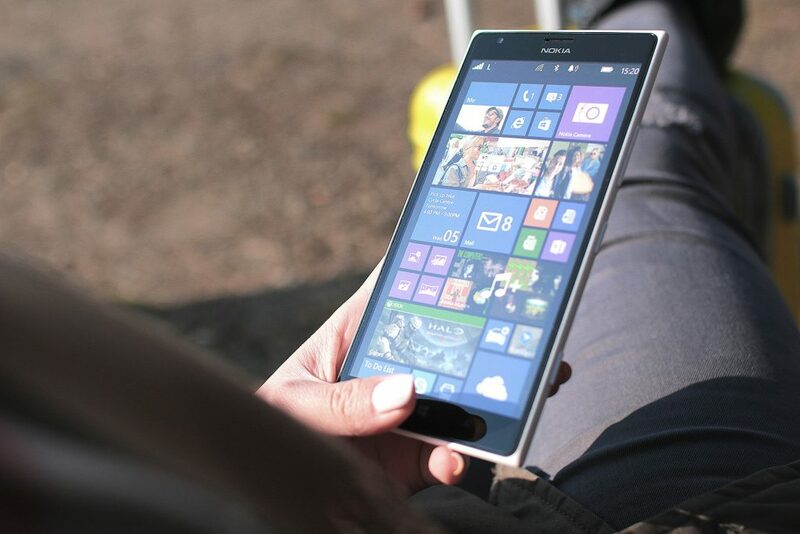 For mobile devices, the company is recommending that customers move to a supported Android or iOS device, but where will Microsoft-centric developers go? According to SlashData, 11 percent of developers working on mobile projects are still primarily writing applications to work with a Windows OS, whether it be Phone, 8 or 10. Among this group, 51 percent are also working on Android applications, 36 percent on applications running in a mobile browser and 30 percent on iOS apps. As Microsoft vacates the mobile device space, the real winner appears to be developers writing code running within browsers themselves. 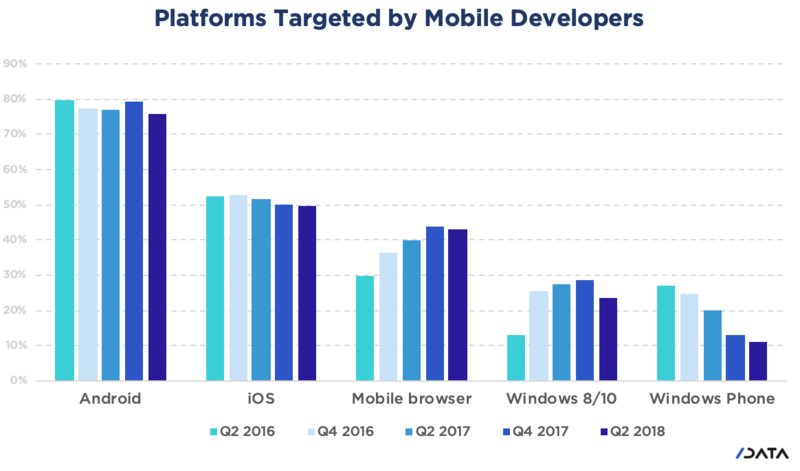 Over the last two years, the percentage of developers working on Android and iOS apps declined slightly while those targeting mobile browsers rose by 43 percent. Although running an app on top of a browser can negatively impact performance, it increases cross-platform mobility and reduces the amount of lock-in a developer has to one vendor’s ecosystem. 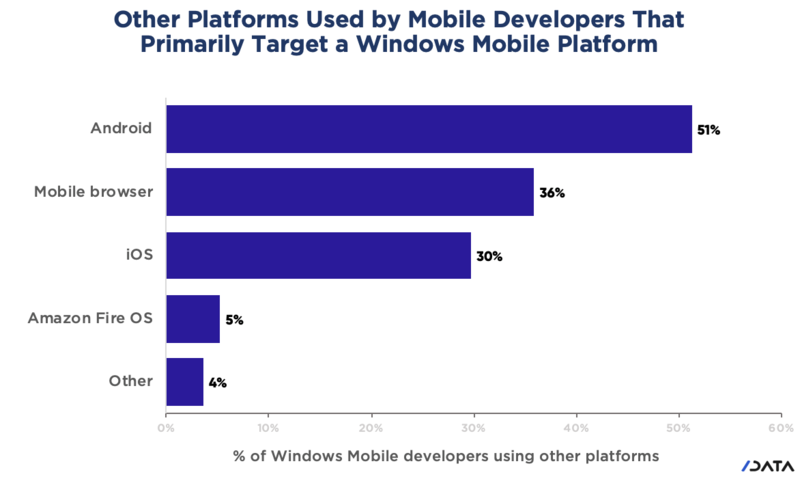 For Microsoft, relying on a mobile browser as the default platform has the added benefit of creates less risk than having it run on an OS controlled by Apple or Google. Since it is already committed to using core components of the Chrome browser for its own products, Microsoft is making a bet that this part of the Google universe will not be manipulated to give its founder an unfair advantage. This data comes from SlashData’s semi-annual Developer Economics survey. We encourage you to participate in the current study, which delves into augmented reality/virtual reality and gaming topics, both areas in which Microsoft does particularly well. Source: SlashData. Over the last two years, the percentage of developers working on Android and iOS apps declined slightly while those targeting mobile browsers rose by 43 percent. Take the Developer Economics survey and get a chance to win an Oculus Rift or other prizes. Over 6 million developers use C#, which is at the core of Microsoft’s ecosystem. Many of these developers work on mobile applications as a hobbyist as opposed to getting paid for that activity professionally. We do not expect any significant migration away from Microsoft’s core community. Microsoft is no longer trying to create a closed ecosystem where it has software that competes across most product categories. Deciding to end-of-life products does not prove Microsoft is weak. To the contrary, a few months ago Microsoft became the most valuable company in the world by market capitalization, a position it last held in 2003. Microsoft is no longer trying to create a closed ecosystem where it has software that competes across most product categories. With the desktop no longer being the primary focus for consumer-oriented developers, Microsoft does not have the responsibility to develop an ecosystem of applications and build its own user base for that universe. Instead, can focus its large internal developer workforce on building out functionality that will be used by the greatest number of people. As Microsoft will continue to pick and choose its battles, but when it exits an area expect it to fully embrace open source, even when the project was not originated internally. Finally, open source also points us to where Microsoft is betting its future: developer tools and the cloud. Looking at a recent Github report (yes, Microsoft is buying GitHub), we find that Visual Studio and documentation for Azure are two of the top projects in terms of contributors in the last year.